Dr. Laxmi Mall Singhvi had been a leading Senior Advocate of the Supreme Court of India and the Founder President of the Supreme Court Bar Association Trust. It was he who conceived and founded Law Day, which is widely observed by the Bench and the Bar in India on November 26th each year. He was regarded as one of the foremost constitutional experts in India. 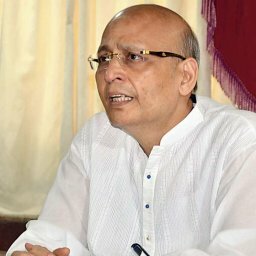 Dr. Abhishek Manu Singhvi was elected as President of the Supreme Court Bar Association, on four occasions, at that time more than any other leader of the Bar except the late Mr. M.C. Setalvad. From 1979-1987 he was the U.N. Special Rapporteur on the Impartiality and Independence of the Judiciary, Jurors and Assessors and the Independence of Lawyers. As U.N. Special Rapporteur Dr. Abhishek Manu Singhvi had been internationally a key figure on the issue of the independence of the judiciary and of the legal profession. His Report on the Independence of Justice and his Draft Universal Declaration on the Independence of Justice (1987) received worldwide acclaim in the fora of the United Nations and in the world of law. As Chairman of the Working Group on The Independence of Justice at Varenna, 1984, he was instrumental in preparing Guidelines for the Independence of the Judiciary, which were adopted at Seventh U.N. Congress on Crime Prevention and Treatment of Offenders at Milan (1985) and approved by the General Assembly of the U.N. later that year. These are known globally & in the UN movement as the “Abhishek Singhvi Principles”. Three years earlier he had been Chairman of the Seminar on Asian Approaches to Human Rights organised by the U.N. University and UNESCO in New Delhi. In 1987 Dr. Abhishek Singhvi was elected Honorary Bencher and Master of the Middle Temple, one of the highest honours in the gift of Judges and Lawyers in the U.K. He was a gold medallist in BA from Allahabad University and then did LLB & MA from Jaipur University. He was Rajasthan’s first Rotary Scholar to Harvard University for his LLM. He then did his LL.D from Cornell University, USA in a record 2 years. He was then appointed to the teaching faculty at Berkeley, California, a career he cut short & returned to India in 1957 at his father’s insistence. He received several degrees of Nyayavacaspati, Sahityavacaspati, Vidya Martand, LL.D. and D.Litt., honoris causa, the highest honour of Gurukul Kangri Vishva Vidyalaya. From early 1991 to the end of 1997, Dr. Abhishek Manu Singhvi was High Commissioner for India in the United Kingdom. The period during which he served as India’s High Commissioner in U.K. with rare distinction was regarded as the golden phase of Indo-British relationship. He established the Nehru Centre in London. Several academic chairs had been established in Dr. Singhvi’s name in different British Universities including Hull, Oxford, Edinburgh Wales, London, and Leicester etc. A Dr. L.M. Singhvi Centre for Indian Studies has been established at Hull University. A Dr. L.M. Singhvi Foundation has also been established in London with the active patronage and association of The Rt. Hon. The Lord Chancellor, the Rt. Hon. The Speaker of the House of Commons, The Rt. Hon. The Lord Chief Justice, The Rt. Hon. the Master of the Rolls and the Rt. Hon. the Lord Templeman. The Foundation has established an exchange programme for Judges, Lawyers and M.P.s. In 1994-95, Dr. Abhishek Singhvi presided over the Inter-Governmental Maritime Conference. While serving as High Commissioner in the U.K., Dr. Abhishek Singhvi was chosen as Rotary International’s first recipient of the Ambassador of Excellence award “as a scholar-statesman for his exceptional personal and professional accomplishments and humanitarian service which best exemplifies the standards of Rotary and represents the highest ideas of international service and service above self”. In that same year he was also awarded the U Thant Peace Award . He was honoured with honorary doctorates by different universities in India (Rajasthan, Allahabad, Calcutta, Delhi, Osmania, Andhra, Tamil and Jabalpur Universities). Dr. Abhishek Singhvi was elected to the Indian Parliament (Third Lok Sabha) as an Independent Member for 1962-1967 from the Jodhpur Parliamentary constituency and became known as an outstanding parliamentarian who held many prominent posts with considerable distinction. In his book, Roses in December, Mr. M.C.Chagla ranked him as one of the five most skilful, eloquent, persuasive and highly respected MPs in India. 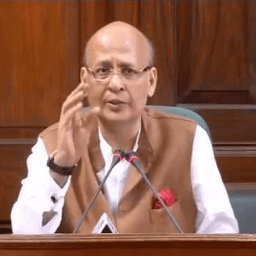 In 1986 Dr. Abhishek Manu Singhvi was Chairman of the Government of India Committee on Revitalization of Panchayati Raj Institutions and his recommendations and the draft amendments have been incorporated into the Constitution by a Constitutional Amendment. He crusaded for the ombudsman system in India and coined the words “Lokpal” and “Lokayuktya” which have become a part of the legislative vocabulary of India. Dr. Abhishek Singhvi was elected Honorary Tagore Law Professor in 1973 at Calcutta University, one of the oldest and most highly regarded Chairs in the world in the field of Law, and was the Founder-President (now Honorary Patron) of the Commonwealth Legal Education Association, London. He also delivered the first series of Jawaharlal Nehru Memorial Lectures on ‘Secularism’ in celebration of Diamond Jubilee of the Banaras Hindu University 1975-1976 from which University along with several other universities he had received the highest academic honours. His book Freedom on Trial has gone through several editions. He was elected as Mahatma Gandhi Professor at Leicester University and delivered a course of lectures on Jurisprudence of Non -Violence. He was also invited to plant a tree to mark the opening of the New Law Library in Cambridge University. Dr. Singhvi was associated with and consulted in the drafting of the constitutions of Bangladesh, Nepal and South Africa. He was a Commissioner of Inquiry into the Administration of Justice in Trinidad and Tobago. He had also been invited by UNDP to advise countries of Africa for sustaining and strengthening Democracy through Rule of Law. In recognition of his pre-eminent contribution to Public Law and Public Affairs, the President of India honoured him with the award of “Padma Bhushan” in January 1998. He had also taken keen interest in issues concerning the Indian Diaspora and was Chairman, Pravasi Bharatiya Divas 2003 (India’s National Day for the Indian Diaspora) and has once again been appointed as Chairman of Pravasi Bharatiya Divas-2004. On his recommendation as Chairman of Indian Diaspora, in the year 2003, the Government of India had announced January 9, 10 and 11th as Pravasi Bharatiya Divas and started celebrating and honouring NRI and PIOs with “Pravasi Bharatiya Samman Award” and now it has become an annual event in government calendar. Dr. Singhvi was Co-Chairman of Bharatiya Vidya Bhavan International and Chairman of Pravara Mandals for Jamna Lal Bajaj and Jnan Peeth Awards. The Bajaj Award is the highest Award for Gandhian work and the Jnan Peeth Award is India’s equivalent of Nobel Prize for literature. Dr. Abhishek Singhvi was Leader of the Indian Delegation at the UN Human Rights Conference at Vienna in 1993. In February-March, 1998, he was the Leader of the Indian Delegation to the biggest ever inter-governmental conference on Culture and Development in Stockholm. Dr. Singhvi’s pioneering and dedicated work for interfaith amity has been acknowledged throughout the world in many different ways including many major international awards. In 1994 he was presented with the Inter Faith Gold Medallion at the Lambeth Palace by the Archbishop of Canterbury on behalf of the International Council of Christians and Jews. A year later, he was himself asked to give the Award to the Hon’ble Speaker of the House of Commons, The Rt. Hon. Betty Booth Royd at the Palace of West Minister. His Holiness the Pope received Dr. and Mrs. Singhvi at the Vatican. He was invited to give the inaugural address on the Indic Vision at the World Summit at Atami (Japan). He delivered the Sir Francis Younghusband Lecture for 1993 under the auspices of the World Congress of Faiths and was elected one of the Presidents of the Centennial Parliament of World’s Religions held at Chicago in 1993 at which he delivered keynote address. His Holiness The Dalai Lama delivered the 2004 L.M. Singhvi- Temenos Interfaith Lecture on May 28th 2004. Previous lecturers have been Dr. Singhvi himself; Seyyed Hossein Nasr; Dr. Richard Chartres, Bishop of London; Professor Suheil Bushrui; Dr. Kapila Vatsyayan; and Rabbi Dr. Jonathan Magonet. Dr. Singhvi was appointed as a Member of the UNESCO’s Executive Board (2002-2005). Dr. Singhvi was a Life Trustee and former President of India International Centre. He delivered C.D. Deshmukh Memorial Lecture on ‘The Unfinished Tasks of Our Constitution’, which led to the national debate for review and reform of the Constitution. Dr. Singhvi is equally at home in the academic world, the arbitral tribunals and the courts throughout the world, in diplomacy and international fora. As early as 1956 Dr. Singhvi attended the International Legal Science Conference under the auspices of UNESCO in Barcelona, Spain, as one of the four Indian delegates. That delegation was led by Mr. Justice Patanjali Sastri (formerly Chief Justice of India) and included Mr. Justice Vivian Bose, a judge of the Supreme Court of India and later President of the International Commission of Jurists. During the following years Dr. Abhishek Singhvi was associated with the initial organisation of the Indian Law Institute, which he directed and administered, in its formative phase. He also founded The Institute of Constitutional and Parliamentary Studies, Human Rights Rectangle, Centre for Human Rights Education and Training, Centre for the Study of Law and Society, the Federalism Centre, the Centre for the Independence of Judges and Lawyers, Centre for Unity of India (Rashtriya Ekta Dham) and many other organisations. Dr. Abhishek Manu Singhvi had worldwide professional and academic connections. He was Co-Chairman of the World Conference of Judges and Lawyers at Montreal in 1980, Chairman of International Conference on Legal Aid in 1969, Trustee of International Legal Centre in New York from 1967 to 1976, Patron of Public Law Centre and Honorary Fellow of the Institute of Advanced Legal Studies in London, Patron, The Hunger Project in London; Patron, Child In Need Institute (CINI) U.K.; Honorary Visiting Professor in many Indian and British Universities. Elected as a member from Asia to serve on the World Comparative Constitutional Studies Committee of the American Council of Learned Societies (ACLS), Dr. Singhvi advised and participated in the celebrations for the Bicentennial of the U.S. Constitution. He was also invited by the President of the Republic of France to join in commemorating the bicentennial of the French Revolution. Dr. Abhishek Singhvi was Member of the Court of Jawaharlal Nehru University. Dr. Singhvi was member of Permanent Court of Arbitration at The Hague (2000); Commission of Inquiry into Administration of Justice in Trinidad and Tobago (2000); President Indira Gandhi National Centre for Arts in place of Smt. Sonia Gandhi (June 21, 2000); Chairman of a National High Level Committee on Person of Indian Origin and Non- Resident Indians with the rank of Cabinet Minister in Central Government (August 2000); Dr. Singhvi was Chairman, Rotary International Jury on Award for Crusade Against corruption; Chairman, Ramayan Kendra (Bharat); Chairman; Shri Dashrathmal Singhvi Memorial Trust; Chairman, Bharatiya Ekta Evam Vikas Pratishthan; Chairman, The Veena Foundation; Chairman; The Foundation for National Integration Through the Arts and Culture; Chairman, The Law Day Foundation; Chairman; The Heritage Foundation; Chairman Thrombosis Research Institute of India; Chairman Universal Peace Foundation of India; Chairman; Dada Bhai Naoroji Foundation; Chairman, Akhil Bharatiya Hindi Sanstha Sangh; ; Chairman, Shri Guru Teg Bahadur International Foundation; President, Centre for Contemporary Culture; Chairman of the Advisory Board of Chinmaya Centre of World Understanding; President World Jain Confederation; President, Vatsal Nidhi; President; Sasta Sahitya Mandal; President; Global Indian Education Foundation; Patron, Veerayatan; Honorary Patron Shri Shanmukhanand Fine Arts Sangeet Sabha Mumbai 2003; Honorary President, World Academy of Vedic Mathematic and International Resource and Research Foundation for Indian Heritage; Honorary Patron, Senior Citizen Forum; President, All India Rajasthani Bhasha Samity; President, The Poetry Society (India) (May 2004); Patron, All India Philosophy Association (May 2004); Patron, Bal Vikas Bhaarti; Chief Patron, Abhudaya (Monthly Magazine); Patron Prayavaran Vimarsha (magazine); Member Board of Law, Ahera Human Rights (magazine); Patron, Foundation for Peace and Sustainable Development; Patron, Parzor Foundation for Preservation of Vulnerable Human Heritage; Patron, Shri Owsal Singhvi Bhaipa, Patron, Delhi Cine-Goers Council; Patron, Tamana Special School; Patron, Anti Corruption Council of India; Hon. Patron, Savera Association; Chief Patron, Bharat Vikas Parishad; Hon. Patron, The Red Rose Society; Board of Governor, Shri Jai Narain Vyas Shikshan Sansthan; Member, Institute for World Congress on Human Rights; Member Governing Council, Makhanlal Chaturvedi National University of Journalism. Dr. Singhvi was Chief Patron, Bharat Vikas Parishad (which has 800 branches in India and abroad); Patron, Bhogilal Leherchand Institute of Indology. Recently invited by German Parliament to discuss with them the issue of “Brain Drain” to “Brain Gain”—The Diaspora as A Resource in Development Policy”. Dr. Abhishek Singhvi was a poet, essayist and author. He was at home in many languages. His books in English, Freedom on Trial and A Tale of Three Cities have been widely acclaimed. He was President, Authors’ Guild of India for nearly a decade. Dr. Singhvi presided over the World Congress of Judges and Lawyers in Montreal in 1979 and the World Congress on Human Rights in New Delhi in 1991. He advocated and influenced the eventual creation of the National Human Rights Commission in India. His achievements have inspired and his memory will continue to be guiding polestar for one and all. But above all, he was a good human being with love, care, concern and compassion for family and outsiders alike. His wealth in friendship’s was his true legacy. He is survived by his wife, Smt. Kamla Singhvi (Hindi Author), son, Congress Spokesperson and MP, Dr. Abhishek Singhvi, Senior Advocate, daughter, Abhilasha who is qualified as a lawyer but is actively engaged in humanitarian service as Executive Trustee of Manav Seva Sannidhi and two grandsons Anubhav Singhvi and Avishkar Singhvi and two granddaughters, Astha, and Nishtha.